Macroalgae are generally used as indicators of coral reef status; thus, understanding the drivers and mechanisms leading to increased macroalgal abundance are of critical importance. Ocean acidification (OA) due to elevated carbon dioxide (CO2) concentrations has been suggested to stimulate macroalgal growth and abundance on reefs. However, little is known about the physiological mechanisms by which reef macroalgae use CO2 from the bulk seawater for photosynthesis [i.e., (1) direct uptake of bicarbonate (HCO3 −) and/or CO2 by means of carbon concentrating mechanisms (CCM) and (2) the diffusive uptake of CO2], which species could benefit from increased CO2 or which habitats may be more susceptible to acidification-induced algal proliferations. 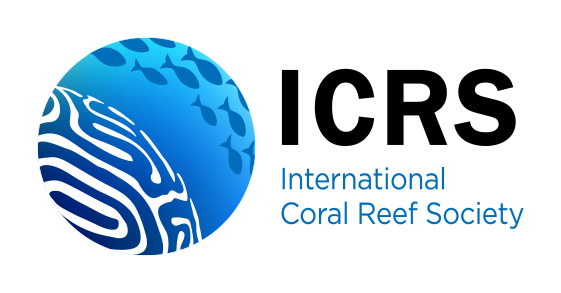 Here, we provide the first quantitative examination of CO2-use strategies in coral reef macroalgae and provide information on how the proportion of species and the proportional abundance of species utilising each of the carbon acquisition strategies varies across a gradient of terrestrial influence (from inshore to offshore reefs) in the Great Barrier Reef (GBR). Four macroalgal groups were identified based on their carbon uptake strategies: (1) CCM-only (HCO3 − only users); (2) CCM-HCO3 −/CO2 (active uptake HCO3 − and/or CO2 use); (3) Non-CCM species (those relying on diffusive CO2 uptake); and (4) Calcifiers. δ13C values of macroalgae, confirmed by pH drift assays, show that diffusive CO2 use is more prevalent in deeper waters, possibly due to low light availability that limits activity of CCMs. Inshore shallow reefs had a higher proportion of CCM-only species, while reefs further away from terrestrial influence and exposed to better water quality had a higher number of non-CCM species than inshore and mid-shelf reefs. 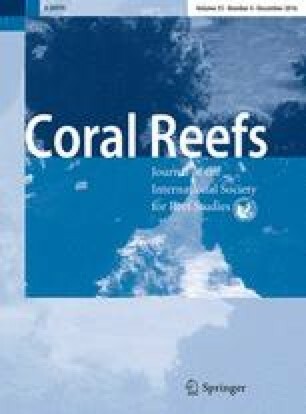 As non-CCM macroalgae are more responsive to increased seawater CO2 and OA, reef slopes of the outer reefs are probably the habitats most vulnerable to the impacts of OA. Our results suggest a potentially important role of carbon physiology in structuring macroalgal communities in the GBR. The online version of this article (doi: 10.1007/s00338-016-1481-5) contains supplementary material, which is available to authorized users. We are grateful for help in the field from A. Hoey and C.P. Arango. A. Ordoñez, and C. Barrón assisted with the carbonate chemistry analyses. To B. Fry for comments on the manuscript. support was provided by an ARC Grant (DP120101778) awarded to GDP. This research was conducted under permit G11/34560 from the Great Barrier Reef Marine Park Authority.